We take a look at this thriving beachside town and all it has to offer. You’ll find the picturesque town of Budleigh Salterton at the western gateway of the World Heritage Jurassic Coast and in the East Devon Area of Outstanding Natural Beauty (AONB) – some pretty impressive credentials right there and backed up by two miles of pretty pebble beach and an expanse of safe, clean bathing water. Considered by locals and visitors alike to be one of Devon’s most unspoilt and charming towns, there is plenty to see and do whether you are visiting for a day or longer. Boutique shops sit alongside vibrant cafés, pubs and popular restaurants. An amble through this historic town also reveals a lovely museum while the surrounding area has plenty to keep everyone entertained – from golf courses and adventure parks for the energetic to peaceful gardens and gentle walks for those who prefer a slower pace of life. There is always a packed calendar of events at Budleigh Salterton including the exhibition ‘Raleigh 400’ at the ever-popular Fairlynch Museum & Arts Centre. From 28th May until 31st August, this unique thatched museum, depicting the local history of Budleigh Salterton and the Lower Otter Valley, will be paying tribute to east Devon’s greatest historical figure. A highlight will be the original painting ‘The Boyhood of Raleigh’ by the celebrated Pre-Raphaelite artist Sir John Everett Millais, on loan to Fairlynch from the Tate Britain collection for the third time in 50 years. Alongside the paintings in the Exhibition Room will be various items from Raleigh’s period. www.budleighmusicfestival.co.uk or from the Budleigh Information Centre. For those who prefer words to notes then the Budleigh Salterton Literary Festival should definitely be a date in your diary from 19th to 23rd September. Celebrating its tenth anniversary, the event promises to be one to remember with a brilliant line-up of thrilling and innovative writers, visit www.budlitfest.org.uk for more details. 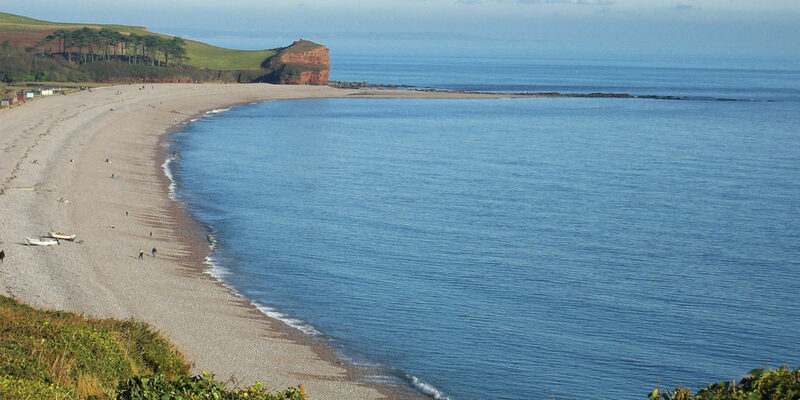 Just a stone’s throw away from the beach is the Budleigh Fish Café. 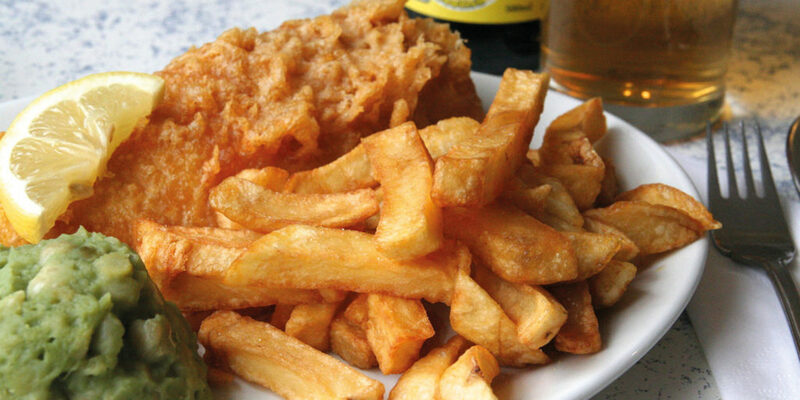 While this family-run business recently changed its name from the Premier Café, traditional fish and chips have been served here since the 1930s. The busy takeaway serves a selection of fish and non-fishy meals, ideal to eat on the spectacular seafront; or try the licensed restaurant which also serves a selection of grilled local fish, Budleigh crab and Exe mussels. Local produce is used wherever possible, with gluten free and vegetarian options available. 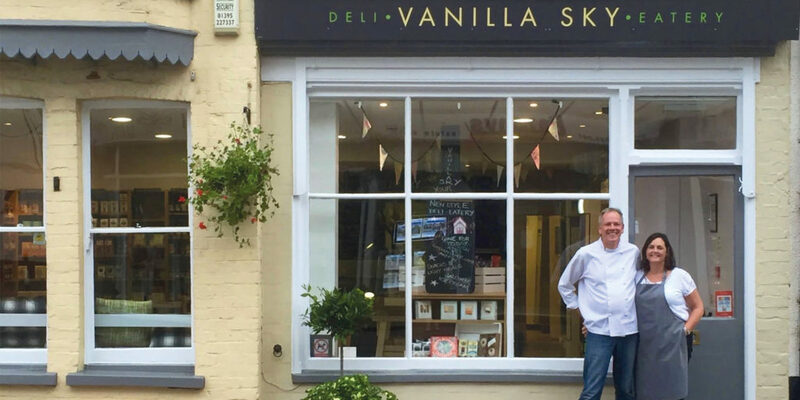 Vanilla Sky Deli Eatery is a ‘Taste of the West’ Gold Award winner, offering a multitude of homemade and locally sourced produce which is a feast to the eyes! The deli specialises in delicious freshly prepared food with an extensive vegetarian offering and regular vegan options. Cream teas and ice cream sundaes are very popular. You have the option to eat in or take away. It’s Devon and Dorset on a plate! 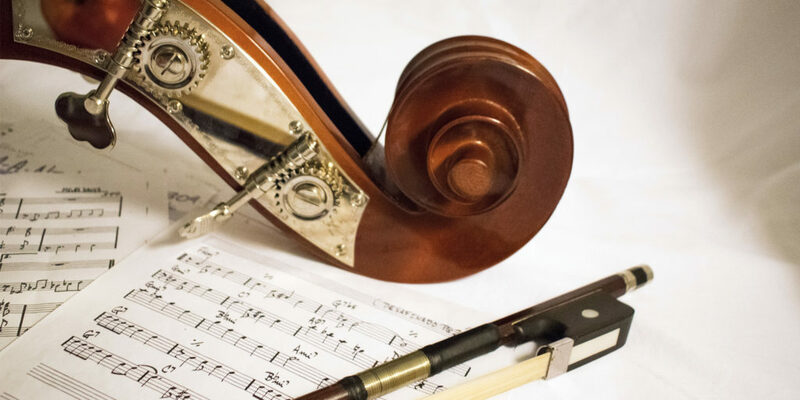 If you love classical music, then you must attend Budleigh Salterton Music Festival, from 13th to 21st July 2018. This year’s line up includes – among others – evening concerts with The Festival Wind Players, Sunwook Kim, The Festival Orchestra with Sheku Kanneh-Mason (as recently seen performing at the royal wedding), Merlin Ensemble Vienna, Apollo 5, Jess Gillam and much more. Order your tickets now from Budleigh Information Centre or the festival’s official website. What could be more delightful than taking in the panoramic sea views from your bed or nodding off to the sound of the sea, whether it’s gently lapping the beach or wild and windy? Whatever the time of year, at Pebbles B&B right on Fore Street, you’ll be cosy and comfortable and can look forward to a blissful night’s sleep. 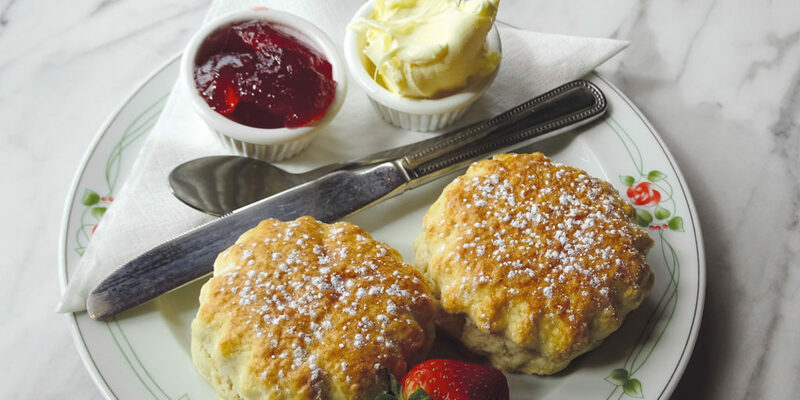 Make the most of your stay with a proper Devon cream tea – absolutely delicious! 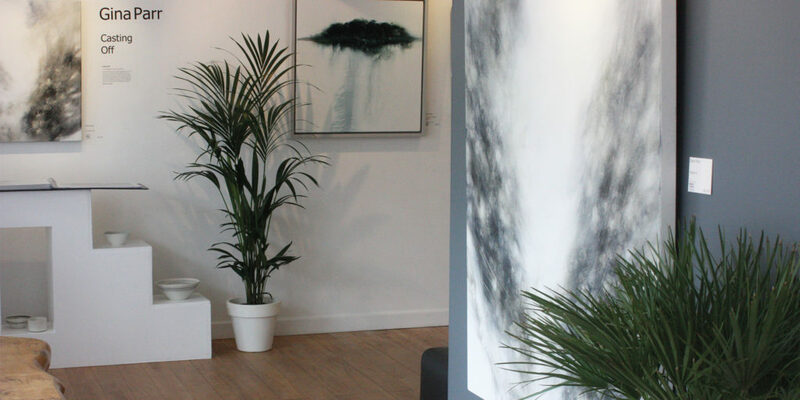 The Brook Gallery was founded in 1997, specialising in Fine Art original print, now also incorporating paintings and three-dimensional works. Over 20 years, Brook has acquired an enviable reputation across the UK and beyond, consulting, sourcing and installing the best Fine Art into beautiful homes, exciting hostelries and exceptional hotels together with the some of the best professional offices and establishments across the UK. The gallery is open Tuesday to Saturday, 10.30am to 5pm, and Sunday 2pm to 4.30pm. 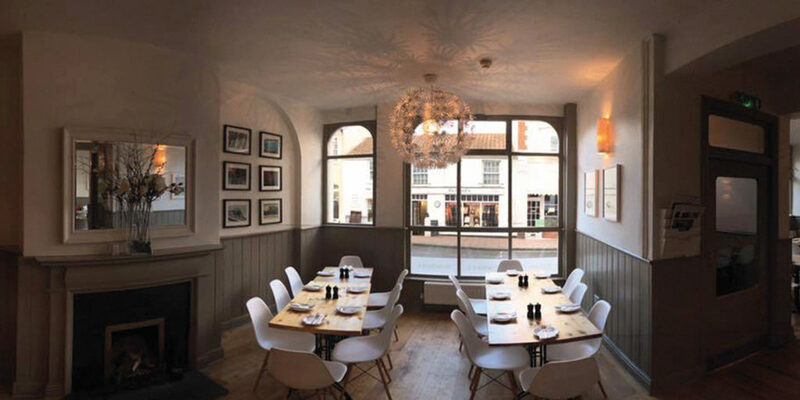 Bowmers restaurant is cool, casual and contemporary, serving stylish food, which is cooked from scratch every day. The menu changes frequently depending on what the team can get their hands on that’s fresh and seasonal and that feels right for the day. The team want their customers to have a great experience at Bowmers with a friendly, efficient customer service and really great food. So, why not pop in and sample the flavours all for yourself? "...from golf courses and adventure parks for the energetic to peaceful gardens and gentle walks for those who prefer a slower pace of life."